We are pleased to be able to offer a 15% discount to any teams/groups that book 3 slots a week (i.e 3 age groups from the same club playing on different weeknights, or a 3 hour slot for 3 teams playing on the same night), bringing the cost for an hour down to £28.90. High ball catch netting is to be installed behind the goal ends of the Astro. New mini-soccer (7-a-side sized) goals are being looked at to replace the hockey goals. 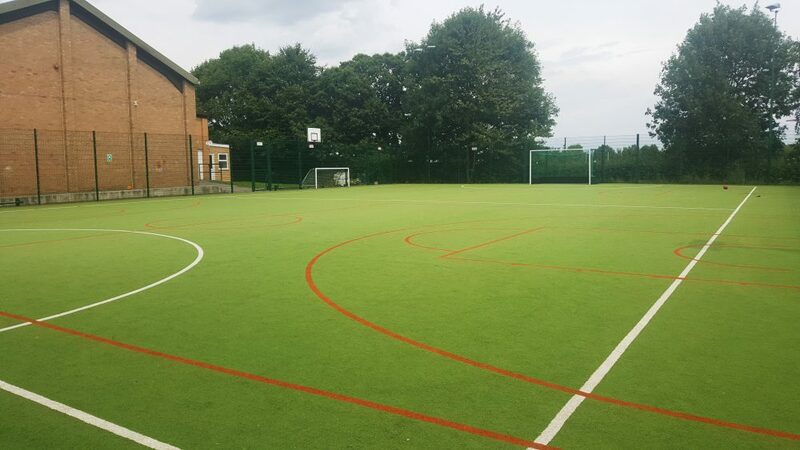 Sports hall flooring to be replaced with new surface, markings and football goals added (5-a-side, or futsal). Please feel free to share with friends and colleagues who may be interested. All enquiries considered, please contact the school office for further information: 01606 288090.